In The Netherlands East Indies at the Tropenmuseum specific sections of the well-known ethnographic collections from Indonesia are interpreted as colonial collections. 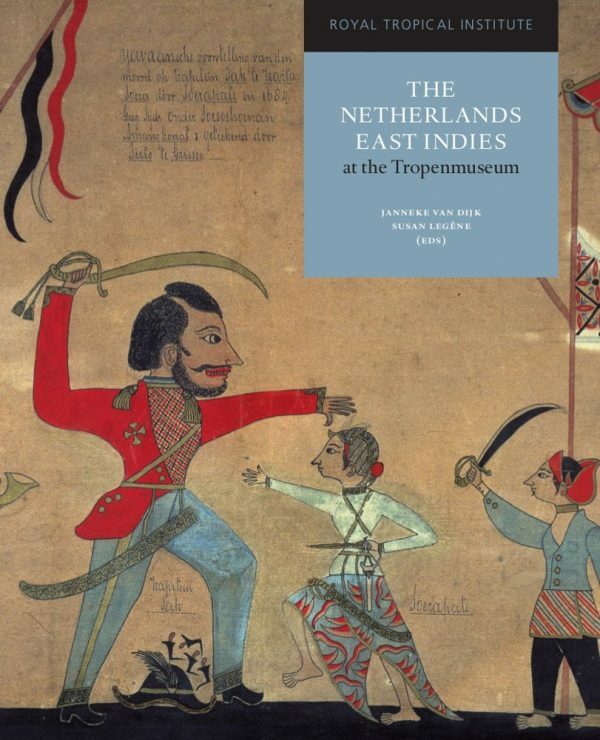 The first volume of a series of ten books that discuss the collections of the Tropenmuseum and the histories and the stories that accompany them. The Books elucidate the often hidden backgrounds of a museum collection, discussing objects within their original contemporary meaning. The main emphasis lies on the history of the specific museum collection, with its different colleting and presentation practices placed in a particular time and place. Each volume is richly illustrated with objects and photographs from the Tropenmuseum collection. In the Netherlands East Indies at the Tropenmuseum, specific sections of the well-known ethnographic collections from Indonesia are interpreted as colonial collections. As such, these objects and images express a specific culture of colonialism and colonial society in which ethnography, art, applied art and crafts from Europe en from South-East Asia merge. For more than a century, these objects and images have played a dynamic role in creating coherence in the ethnographic collections as a whole. Through this new interpretation of such objects as colonial collections, the contours of the many diverging and contradictory social relationships that existed within colonial society become visible. In eight essays, invited authors elaborate on this approach and challenge the Tropenmuseum to extend its policies on the interpretation and presentation of ethnographic collections in a national and international dialoque on art, cultural heritage and the legacies of colonial culture.